The English Lake District, Cumbria. Mountains lakes and much more. 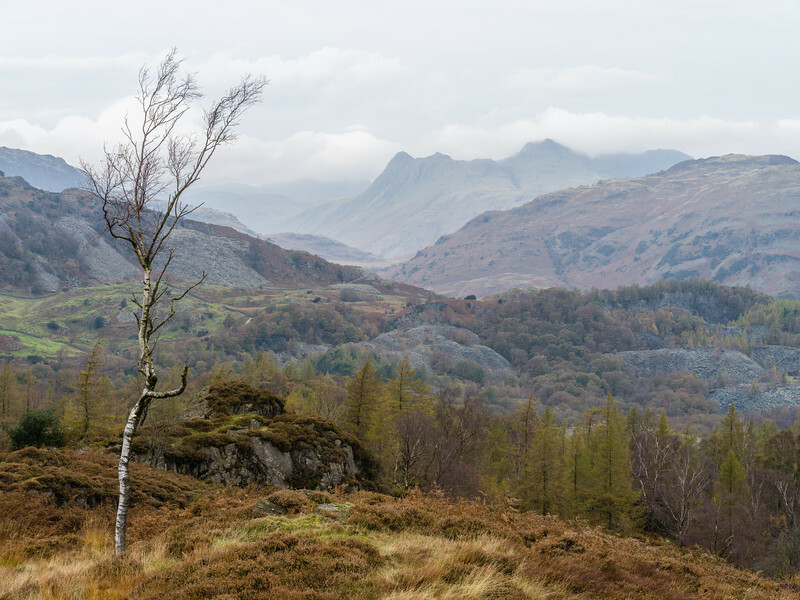 Robbed of leaves by the cold winds and short days of winter, a lone birch tree stands above Great Langdale, Lake District, Cumbria. 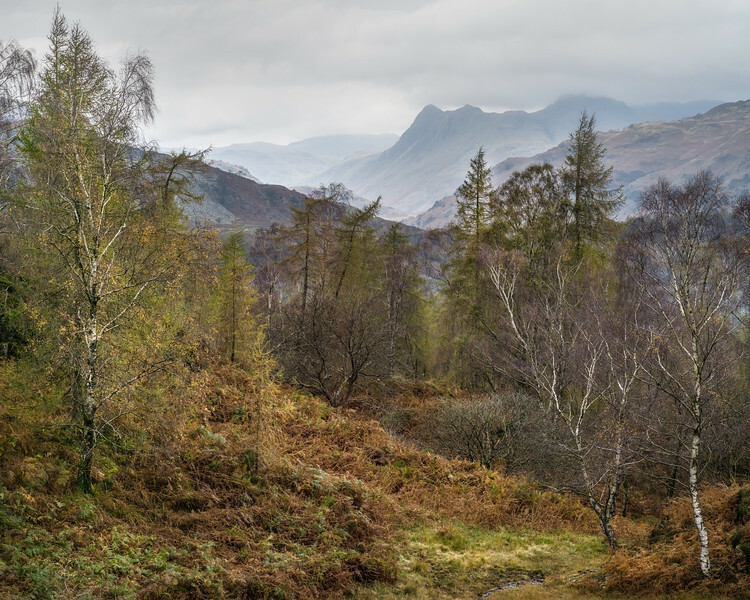 The lower slopes of Holme Fell, covered in a mixed woodland of mainly birches and pines, underscored with bracken. 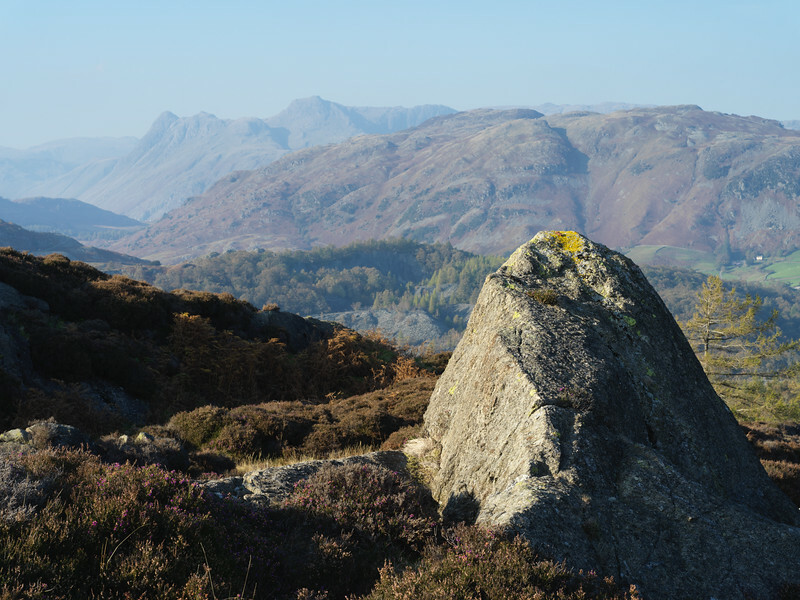 The Langdale Pikes lie beyond. Lake District, Cumbria. 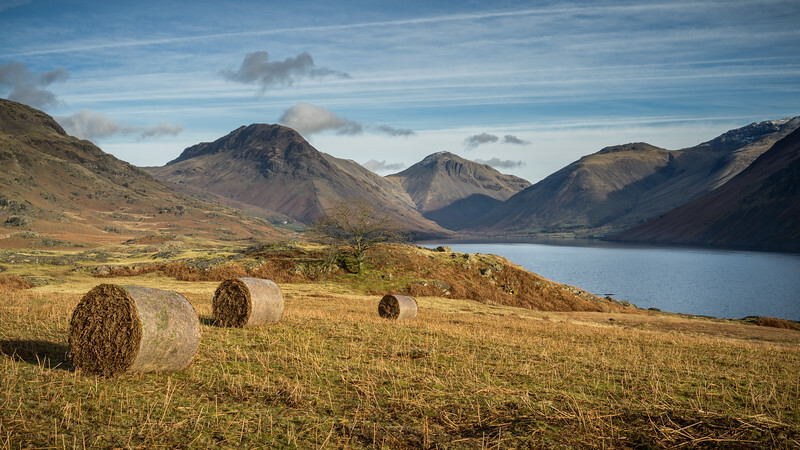 Large bales of bracken, harvested to provide bedding for livestock on the shore of Wastwater, Lake District, Cumbria. Clear skies one moment, followed by overcast grey of lowering clouds, around the mountains of Wasdale the weather changes quickly. A multi shot panoramic view looking down Wasdale as the clouds lower onto the mountain tops. The ripples on the surface of Elterwater distort the the reflection of the Langdale Pikes, Elterwater, Lake District, Cumbria. The colours of the spectrum are revealed as the setting sun shines across the screes, Wasdale, Lake District, Cumbria. Light on the Lone Farm. A transient patch of sunlight passes over a lonely farm house, St John's in the Vale, Lake District, Cumbria. 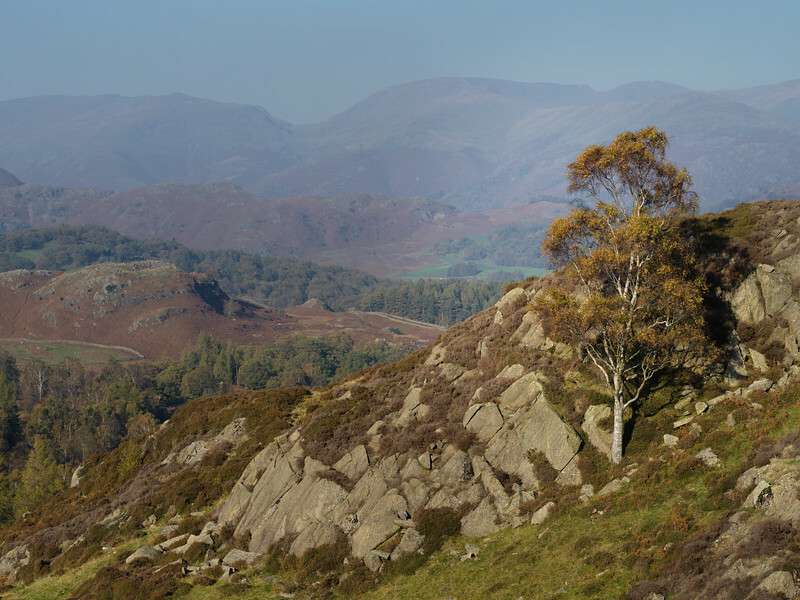 Holme Fell, hazy autumn view towards the Langdale Pikes. Lake District, England. 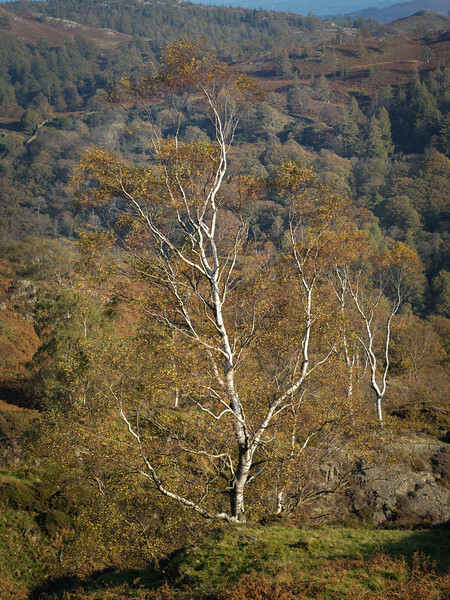 Birch tree in autumnal colour, Lake District, England.